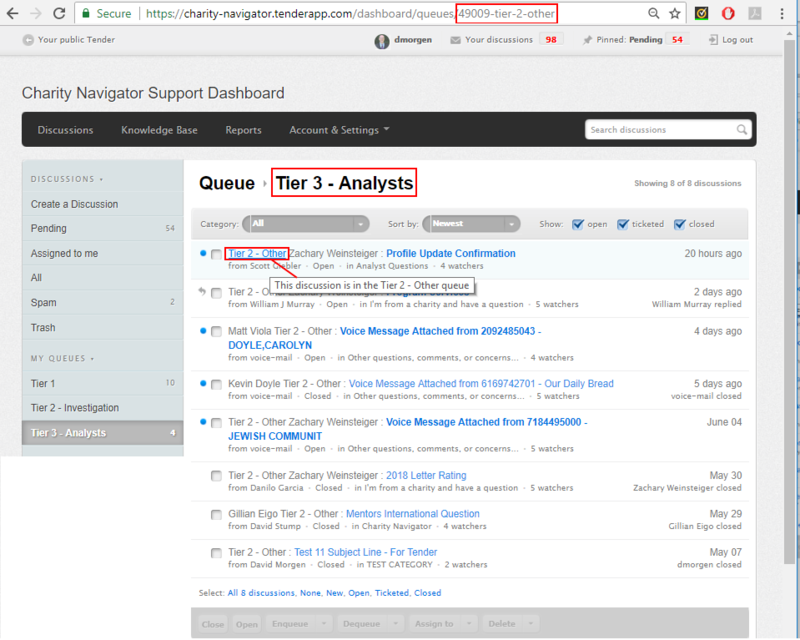 We get many emails to different Tier 2 support people and want to funnel support through Tier 1. If Tier 1 determines that it should escalate to Tier 2, they may want to know who the requester asked for so this would be helpful. Right now, it only shows the original requester's email and not who they sent it to. Is there a way to get both the original "Sender" email address as well as the address of the "Send To"? Hi, my apologies for missing this email - do you have multiple 'tier 2' addresses that people are sending mail to? It has been a little while, so the question may be a little different now. significant amount of work to me. Hm, that particular discussion may be in more than one queue? (assigned). Also, when they assign to Queue 3 and then remove from Queue 1. 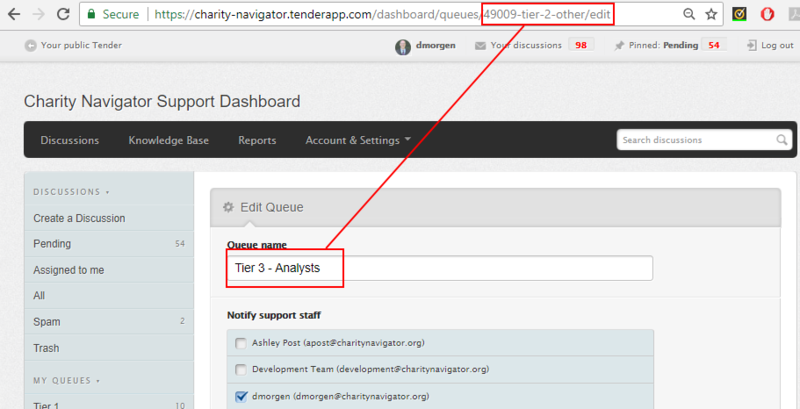 It looks like you renamed "tier 2 - other" to "tier 3" at some point - I've triggered all those to get updated. I've also renamed the permalink for the queue too so the URL is up-to-date. Courtenay closed this discussion on 19 Jun, 2018 11:00 AM. to get updated and rename the permalink if I need to in the future? I did this directly in the database - we never really figured people would rename their queues, just make new ones and start using them. Courtenay closed this discussion on 25 Jun, 2018 09:12 AM.